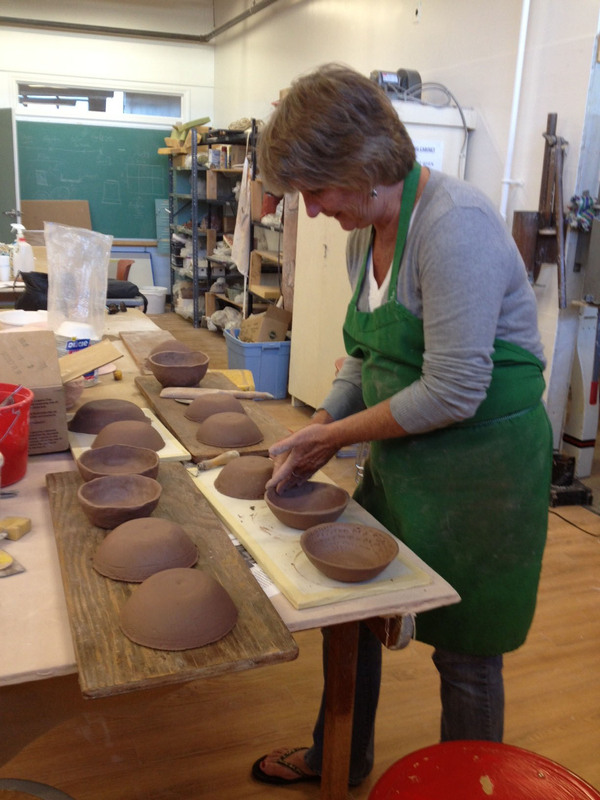 Class will NOT take place on Friday, 5/3/2019 due to Pottery Invitational. Make up class will be scheduled. TBD. If your class is scheduled to occur in the evenings after 5PM or if you arrive on a weekend before 10AM, please enter the facilities through our rear, handicap-accessible Studio Entrance across from the Parking Lot. The front entrance and offices lock at 5PM. As you enter through the Studio Entrance, please take a right if you are looking for the Ceramics Studio. Please take a left if you are looking for the Metals Studio or the Multimedia Studio. Top off your week in a fun, supportive studio environment with an array of projects, from functional pottery to sculptural forms, as we introduce you to a range of clay-working techniques. Learn traditional forming techniques such as pinch, coil, and slab construction. If you are more experienced, you can pursue your own independent project with guidance from the instructor. Critical dialogue with the instructor and the group, through supportive critique methods, will be encouraged. Class will not be held on Friday, 5/3/2019 due to Pottery Invitational. Make up class will be rescheduled. TBD.